Phoebe has been coming to A Place To Be for several therapeutic reasons including anxiety and panic attacks. Last summer she took on the role of Mama Bear in our original musical Human Tales. This was her very first acting experience and her first time singing in public ever, and Mama Bear was a lead role with at least 100 lines and multiple songs! During the two-week camp, Phoebe methodically and deliberately learned her lines, music and blocking. Many times during rehearsals, overwhelmed by anxiety or panic, Phoebe couldn’t hold back the tears, and would need to take a break. But no matter how many times that happened, she always came back to the stage more determined than ever, and continued her work as an actress. At A Place To Be we embrace all our clients with a safety net of love so they can feel free to express themselves and take risks. There is nothing more vulnerable than getting up on stage in front of hundreds of people to act, sing or dance. Our performance-based therapy approach utilizes structure, inclusivity, supportive leaders, trained therapists and a humanistic, person-first approach to directing people with disabilities and challenges. Having a chance to perform and achieve a level of artistic accomplishment motivates our clients, disguises the therapy, and inspires growth and confidence. That our cast members share the stage with others who have diverse challenges and take risks too, helps them to feel less alone, less ‘different’, and more a part of something bigger and beautiful. On dress-rehearsal night, the cast was in full costume and makeup with an audience of 75 eager guests. The goal was to run thru the whole show without stopping. Mama Bear was to say her lines with wit and humor...not tears. But during the scene Phoebe had an anxiety attack. Acting inside a fairytale, dressed in her fuzzy bear costume, her real-world challenges overtook her and she grew dark and shaky. Through that powerful love, acceptance and trust, and thanks to the motivation of music and theater, Phoebe executed the entire dress rehearsal without stopping and went on to perform three shows to sold out crowds. Phoebe is now part of The Same Sky Project, our touring company that brings inclusive productions to thousands of local middle school students inspiring them to accept themselves and to give empathy to others who may also be struggling in this world. See page 6 of our 2018 Annual Report, Music Got Us Here, for more. If you walk into one of the music therapy rooms at A Place To Be on a Thursday evening, you may find 9-year-old Numa nestled in mother’s lap, working with his music therapist on his latest therapeutic goals. The room is filled with music, laughter and his mother’s delighted enthusiasm as she lovingly encourages her son on every small progress he makes through music therapy. Just several years ago, Numa was a typical little boy, full of energy, character and song. Always a lover of music, Numa delighted in belting out tunes from his favorite Broadway musicals like Les Miserables and Mamma Mia, to any audience who would listen. But when Numa was six, he experienced a brain bleed, after an Arteriovenous Malformation (AVM) ruptured turning into an almost deathly stroke, which affected almost all of his daily living functioning. He is now in a wheelchair, nonverbal and dependent on caregivers to fulfill his needs. Despite his many physical challenges, the music is still in Numa. Last year, after learning about A Place To Be through his homecare nurse, Numa’s mother, Lula, enrolled her son in music therapy sessions. The family now travels weekly, from northern Virginia to Middleburg, through rush hour traffic, to participate in music therapy. Numa’s progress is encouraging. In therapy for less than a year, he is achieving therapeutic goals from vocalizing sounds to finish a musical phrase, to turning his head toward the sound of his favorite pitched bell, to lifting his hand while sitting at the piano with his mother to signal the last note of his favorite song. But it’s not only Numa who is benefiting from music therapy. Music is helping the whole family stay connected. Often times Numa’s father and his little brother wait patiently in the waiting room at A Place To Be, so very excited to participate in the goodbye song at the end of Numa’s session. And Lula is of course a big part of each music therapy session. While most of Lula’s days are filled with taking care of Numa’s medical needs, frequent doctor visits, managing medicines and staying up with him when he can’t sleep, music therapy gives mother and son the opportunity to reconnect through music, a passion they both have always shared. See page 4 of our 2018 Annual Report, Music Got Us Here, for more. Caroline is using music therapy to become more vocal and use her voice to advocate for herself. Her therapeutic goals include improving vocal diction and volume and she has grown immensely. Enjoy this beautiful and sassy song, the first song Caroline has written, that helps remind us that we are all a work in progress. That doesn't make me inspirational. I am growing in my self confidence. My work is to be continued." At A Place To Be, we work everyday to help people with disabilities, medical and mental health struggles face, navigate and overcome life's challenges using the clinically-based practices of music therapy and expressive arts therapy. Our Board-Certified therapists create individualized plans to achieve therapeutic goals and discover unrealized potential all in a supportive, engaging and fun environment. Our “Why I Am A Music Therapist” video and blog series captures the passion and driving inspiration behind the work. In this edition of “Why I Am a Music Therapist”, Allison discusses the most intimate role of music in the hospital setting, as a family says goodbye to their loved one. Allison Echard, MMT BT-BC is a board-certified music therapist, born and raised in Harrisonburg, Virginia. She received her Bachelor's and Master's degrees in Music Therapy from Shenandoah University. Allison began her clinical training at Cincinnati Children's Hospital Medical Center in Ohio where she worked with patients and families on all medical units, inpatient and residential psychiatric units, and patients receiving in-home hospice and palliative care. Three years ago, our family lost a dynamic, creative, loving young man with enormous promise. Along with the usual insecurities that seem to plague teenagers, our William was also bravely, silently struggling with a mental illness that we didn't identify until it was too late. The stigma of mental illness that society has maintained for so much of modern history is at the core of this tragedy. My grandfather took his life when my mother was three years old. The story in the family was always that he suffered from alcoholism. At 32-years-old, it seems more likely that there was a serious underlying issue that has cropped up again two generations later. If we treated mental illness more like physical illness, maybe we would have known to take more extensive steps when the first signs appeared. The mission of A WILL TO SURVIVE was to peel open this topic within the population that has suddenly become most vulnerable to it and reveal to the thousands of teens that saw it and identified with something they saw on stage that they are not alone in their struggles. I am proud to have taken a small part. 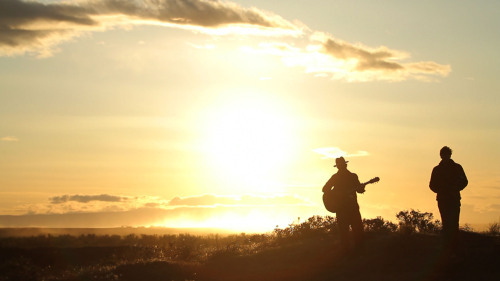 Enjoy this beautiful story of Patrick and his journey to regain his voice through music therapy! Our “Why I Am A Music Therapist” video and blog series captures the passion and driving inspiration behind the work. Enjoy! Ashley Gant has practiced Music Therapy at A Place To Be since 2012. A Board-Certified Music Therapist, Ashley graduated from Shenandoah University with a Bachelor's of Music Therapy in 2012, and a Master’s in 2016. Ashley works with a variety of clients, each with their own challenges, strengths, and personalities. She enjoys working with school aged individuals on the autism spectrum, adults with developmental or intellectual disabilities, children as young as two with Down syndrome, mature adults recovering from a strokes, and everything in between. In addition to offering individual sessions, Ashley is very involved with many other programs at A Place To Be. From Lunch Bunch to Immersion and summer camps; Ashley uses these opportunities to help individuals of all ages socialize, communicate, connect, serve and live. Ray is a Board-Certified music therapist who directs A Place To Be’s medical music therapy program through a partnership with Inova Health Systems. One of the greatest benefits of using music as a therapeutic idiom in a hospital setting is that music helps us make connections. Connections to others, connections to thoughts and feelings and, perhaps most importantly, connections to ourselves. Music can help us retrieve and find the real self that is still inside, even when confusion or dementia may take over. “This is so beautiful” was what stood out to me the most. Sometimes it’s simply the pure aesthetics, the pure beauty in music - music that we grew up with, music that we love - that can help us make a connection to the world again. I’m not sure what happened after I left. Perhaps he was still somewhat back to being his old self, or perhaps he went back into his dark inner world. But even at the very least, if something - music - allowed him to experience the aesthetic beauty of the world for 45 minutes, allowed him to simply be “himself” for a little while, while in a hospital for “altered mental status” - is that so bad? Music is connection…Music is beauty…Music is wellness. When Abira and the Mountain opens to a packed audience in October, Amy Stone and Ryan Perry will realize yet another dream come true, both in their personal lives, and in their dedication to spreading awareness, empathy and acceptance throughout our community. Amy, 23, will take the lead role as the beautiful and innovative princess Abira, who happens to use a wheelchair. Ryan, 22, will present the strong voice of the Mountain that helps provide strength and inspiration to Abira, who discovers that by embracing her own challenges, she can also help others. But the story of Amy and Ryan runs much deeper than playing the leading roles of A Place To Be’s newest full-scale musical. Amy, who was born with cerebral palsy, and Ryan, who has high functioning autism, wrote the original screenplay for Abira. The two met at A Place To Be several years ago, and in addition to being strong advocates and ambassadors for supporting others with disabilities in our community, they also began their own fairytale romance. Their affection, respect and acceptance of each other is as obvious as their devotion to helping others and expanding understanding. It is also what sparked the idea of Abira and the Mountain. Despite what may appear to be challenges to casual onlookers, Amy and Ryan have few limitations. So, if Disney was not ready for a princess in a wheelchair, Amy and Ryan were ready to write about one. Ryan, a talented writer, started the screenplay. He would read back his work to Amy who would comment and make suggestions. What they ended up with was a story of a strong and beautiful princess, who happened to be in a wheelchair, who found the courage and strength to leave the safe confines of her castle to find others like herself, and to become a source of inspiration and strength. If you knew Amy, you would recognize this storyline as paralleling her own life. Amy helped develop A Place To Be’s signature program, The Same Sky Project®, a traveling group of performers who advocate for and promote messages of empathy, love, inclusion, acceptance and inspiration through music and performance. Since 2011, more than 60,000 local students have been impacted by The Same Sky Project productions. Amy has also become a tireless mentor, spokesperson and ambassador for both A Place To Be and the local school system, speaking at schools about the challenges student face and even helping to rewrite IEP (Individualized Education Programs) to better support public school children with challenges. “If I can do something to help other kids, so that they don’t have to go through what I went through, it will all be worth it,” says Amy of her work. And now, through the art of theater, Abira and the Mountain offers one more venue for Ryan and Amy to share their story, and support and inspire others. It is not unusual for A Place To Be to use the creative work of its talented clients to create musicals and powerful performances, but Abira and the Mountain is different. “Most of the time, when we produce a musical or performance, our clients are collaborating with us. Abira and the Mountain is truly originated by Amy and Ryan. They brought it to us as a whole story, we are just turning it into a musical to be shared with others,“ Kim said. Abira and the Mountain will have its public premier in Middleburg, playing one day only at the Hill School on October 7 at 2:00 p.m. Tickets are $10 at the door. The musical will then tour Loudoun County Middle schools throughout the fall as part of The Same Sky Project underwritten entirely by generous support from the Virts Miller Foundation. Skylar Freeman joined A Place To Be as a music therapist after graduating from Shenandoah University with a Bachelor’s in Music Therapy. You can find Skylar leading groups, working with individual clients, and conducting the “Different Strokes For Different Folks” stroke choir. In the summers, Skylar is heavily involved with her favorite A Place To Be program, summer camps! This summer, A Place To Be said goodbye to Miss Cody Huntington. After a fierce journey of resilience, love, and strength, Cody passed away this past July. As her music therapist, I want to share how amazing this young woman was and continues to be in the lives of those she touched. Cody demonstrated this resilience and strength up until her final session in June of this year. Although she’s not physically with us anymore, her lessons of strength and love will always be with me, the APTB family, and everyone who knew her. I am especially reminded of this when I hear the song, “Toes” by Zac Brown Band, one of Cody’s favorites during her last several sessions. This is a fun song about going on vacation to the beach and saying goodbye to your home, as the chorus starts: Adios and vaya con dios, which translates to: Goodbye and go with God. I can’t think of a better send-off for Miss Cody, as she has indeed gone with God, and likely to a beach brighter and better than we could ever imagine. Recently at the hospital where I work I had the pleasure of spending some time with a gentleman and his family in the oncology unit over the course of a few days. He is in his late 70s with various medical issues and was, at the time, declining fairly fast. He had recently become non-responsive and was put on “comfort care”; the goal now of simply keeping him comfortable at this point. The first day I visited and was asked to help he appeared a bit agitated and perhaps in some pain. 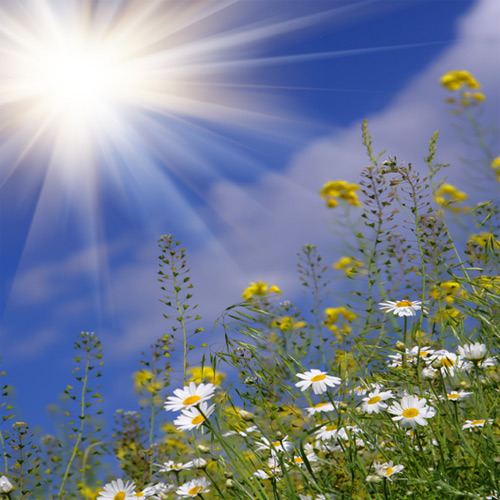 I provided music for him and a few family members to help with relaxation and comfort. Why did I choose 'Ring of Fire’ to start? Was it by chance? Why, in other cases, do I seem to choose the song that was played at their wedding, a funeral, the prom, the song when they met? Is it by chance? I also recently visited with a lovely older woman in her 80s, and her son who was visiting. She was in the hospital for some breathing issues, but also had some confusion as a result of dementia. Her affect was flat and she was looking off when I sat down and took out my guitar, but when I started playing and singing ‘When You Wish Upon a Star’ she held eye contact with me, slightly smiled and finally started lightly singing along. As the song progressed, I noticed her son leave the room. After we finished she said, “Do you know, that was my husband’s favorite song and it was sung at his funeral? He passed away last month." She then proceeded to tell me a little story about him, when they met and how he would fix up their apartment…and sing that song. Music equals connection. When music is presented and shared, especially during times of such high emotion, there is an immediate connection that happens - between patient, caregiver, daughter, son, friend…me. Always. Music brings us together on another level like nothing else. And music gave a daughter and her father, and a son and his mother, a very meaningful moment during a time when life (and death) makes one question what really is meaningful. Music creates meaning. Music creates connection. 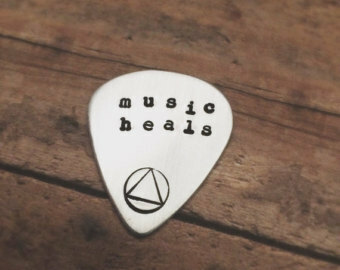 And most importantly…music heals. A tale of 2 ladies…and music. The first was a woman in her 70s, in the oncology unit, who is now in palliative care for an end stage cancer. When we met she looked tired and spent, however, was very “with it” and open to having me spend a little time with her. When I asked how she was doing she said, with a slight smile, “It’s been a long road but I’m here today…and that’s good.” She wasn’t in pain but just feeling generally bad and after I told her why I was there she said, “Okay, sit down and let’s see what you got." She loves both spiritual music and the blues (contrast or conformity?) and when I started playing and singing, she closed her eyes and appeared to drift away with the music. Her somewhat hardened face softened into a peaceful contentedness. I started with ‘Old Rugged Cross’ and worked my way around to 'Route 66’. During the later she was slowly grooving with some light movement with her head and feet, although still looking relaxed with her eyes closed while lying in her hospital bed. When I finished and was packing up she said, "Everyone comes in here and gives me pills and takes blood, you come in and sing to me…now that makes me feel better." Her smile made me feel warm inside. I then met with a woman, in the general unit, in her early 80s who’s in the hospital for various respiratory issues. She also has dementia and gets agitated when the doctors and nurses try to work with her. She was accompanied by her very loving daughter who told me that she loves music, also spiritual as well as the music of the 50s (again, conformity?) When I entered her room she appeared quite confused and had an expressionless face; she barley seemed able to keep her eyes open. However, when I started playing, just improvising around on the guitar to start, it was as if a switch went on…her face lit up and suddenly there was life in her eyes. She held my eye contact and smiled. Her daughter said, "Oh my God…that’s the most I’ve seen out of her today!" When I stared singing she started bopping her head and when I worked my way to 'This Little Light of Mine’ she started singing along. Her daughter was laughing through a few tears and took out her phone to film us (she said that she was going to send this to all of her relatives). After the song, I said to her "You have a beautiful voice.” And she immediately replied, “No, you have a beautiful voice” and started laughing. Now there was no confusion and we were having a very real moment, in and around the music. After a few more songs (and more bopping) I eventually tried to bring things down to close out the session. I started playing and singing a down-tempo version of 'Love Me Tender’ but after a few phrases, she started bopping again in the bed and the intended “lullaby” turned into an upbeat 50s shuffle. It was as if she couldn’t help herself…and I was just following her lead. As I was packing up, her daughter said that the music seemed to just wake her up and that it was amazing to see (it was!) She (the daughter) then started looking for music to play for her on her phone. She (the patient) looked right into my eyes and gave me quite a smile as I said goodbye; a beautiful smile that I would cherish for the remainder of the day. 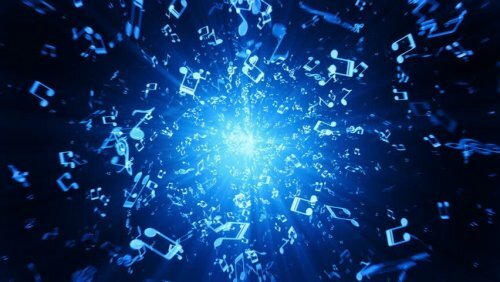 While music is indeed personal and subjective, amongst other things, it can soothe, ease, invigorate, move and bring one into the present moment. And that is why music is so effective in a medical environment. When Mr. B., was back for another round of chemo, I visited with him again. After a few country songs (real ones), he asked if I knew the song “In The Garden”. I did not. He said, “Ray, do yourself a favor and look it up.” That night I did, and the next day when I went back to see him and played and sang it…more tears. Mr. B. then opened up a bit about his cancer. He told me it was a tough road, there was pain that no one knew about and he worried about his family. But whenever he felt down he would rely on his faith. He would sing, in his mind, ‘In The Garden’. The next time I saw him, during his next round, he was looking a bit frail. “Ray”, he said quietly with his eyes closed, “Will you sing ‘In The Garden’ for me? I need to hear it.” I sang, more tears, and then we just sat in silence. I hadn’t see Mr. B. for months. And during those months, ‘In The Garden’ became one of my go to songs. I played it many times, especially for those patients who were really sick and relied on their faith. Often times, this particular song brought on tears. And I always thought of Mr. B., wondering how he was doing. Just recently I saw Mr. B. again, this time in the ICU. He was in pain, had some various complications and when I said “Hello” to him he said, “Ray, things are not good.” I didn’t get to visit and share music with him at that particular time as he was going for a procedure. When I was back on the unit the next day, one of the social workers grabbed me and asked me to go see Mr. B., to see if I could help. I didn’t know what I was walking into and when I got to his room he looked very frail, he was agitated and very confused. He was moaning and he was in pain. It was so hard to see him suffering. I sat and played. I didn’t know if he knew I was there. Finally, I played and sang ‘In The Garden’ and there were tears…they were mine. Mr. B. passed away the next day. I had seen him various times over the past year and my last moments with him, fittingly, was with the song ‘In The Garden’. Mr. B. gave me a powerful gift, the gift of a song. A gift that I will never forget and a gift that I will always use and cherish. A gift that may help others with their own pain, emotions, uncertainty or celebration. And every time I play and sing ‘In The Garden’, I will always think about my friend…Mr. B. The first patient I saw on that particular day was a woman in her early 60s who was in the ICU recovering from a recent cardiac arrest. I had seen her the a few days prior, providing music for stress reduction and relaxation, as she was recovering. But now she was sitting up in a chair and smiled warmly when I peeked in to say “hello” and check in on her. When I asked her how she was doing she said, “Much better! I’m getting stronger and I’m ready to move on!” She was smiling and happy and we used music to celebrate and empower. She would soon be going home and just days before her expected outcome was not so promising. We jubilantly sang, “Don’t Stop Thinking About Tomorrow” and “I Can See Clearly Now”, among a few others and she was smiling, singing and her face showed relief and exhilaration. Oh how great it is to celebrate “feeling better” with someone in the hospital! This story had a happy ending. After after seeing her I was asked to visit with a woman and her husband in the oncology unit; a very sad case with a very different feel. She was in her late 40s, had battled ovarian cancer several years ago and until recently had appeared to be well. However, she suddenly had a rapid recurrence, seemingly out of the blue, as she started to feel very ill. When she got to the hospital earlier in the week she was told that cancer was now spreading rapidly all over her body. She was declining very fast. This all happened within a few days. She and her husband have 2 children. The children had no idea of her past diagnosis as they never told them; her prognosis was good then so they felt it was not necessary. But when she came to the hospital now, she was told that she is very far along. There was nothing to be done. This week changed their life in a way like no other and part of the week was telling their children of the dire situation. She would not live much longer. The plan now was for her to leave the hospital for “home hospice” and they now have to prepare for the inevitable. She was very afraid of dying and worried about her children. And her husband was not knowing how to handle this; it all happened so fast and his face showed how blindsided he has been. I was asked to visit with her and husband while they were waiting to take her home. She was declining rapidly and when I sat on one side of the bed, with her husband on the other side, holding her hand, he just started weeping when the music started. It was a bit of a surreal moment really, the 3 of us there. 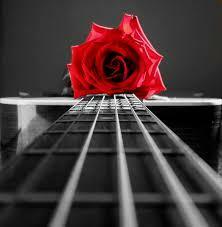 There was nothing to say so, I just played, softly on the guitar, playing what I thought they may be feeling inside. The improvised music was “holding” them, supporting them and giving them a space to just be and let out emotion. After several minutes, she looked directly into my eyes (for the first time) and as I held her gaze, without even thinking I just started humming along with the guitar playing, trying to sooth and comfort, similar to what you may do with a scared child. For a few moments, the dark room was so quiet except for the soundscape of my light guitar playing and soft humming. For a few moments it felt oddly peaceful. When I finished I stood to leave and nodded “goodbye” to her husband. He walked right over and embraced me and whispered “thank you so much” into my ear. I felt both empty and also satisfied that I was able to help in a small way. I was honored to have spent some time with them. In just a few hours, music helped to celebrate life and music prepared for dying. As the day went on, many other situations arose and it just goes to show - music can be many things to many people. And that is why it works so well in the hospital. Working as a music therapist in acute care in a medical setting allows me the opportunity to work with a wide range of people. And part of the music therapy experience, what makes it therapeutic, along with the music, is the relationship that is established between the therapist and the person with whom we are working with. In acute care however, I very seldom get to work with someone for more then a few sessions; and many I work with just once. And even though we can’t establish “long-term” therapeutic relationships, we always connect, in some way, through music. I did have the unique opportunity recently to work with a gentleman more “long-term” at the hospital. I met Mr. R. a few months ago in the oncology unit. A young gentleman in his late 30s, he was diagnosed with various terminal cancers and when we met, he was in the hospital as a result of complications with his treatment. Upon meeting him, I could tell that he was very ill and according to the medical records, he was rapidly declining…he was “terminal”. Over the course of the past few months, he was in and out of the hospital several times and recently he was in for a fairly long stay as he was, unfortunately, declining rapidly. In the recent progressing days, he was also dealing with extreme pain. And what was unique about my work with Mr. R. was that I saw him about 15 times over the course of those months. And thus our relationship began. It got to a point where I knew things were coming to an end and I heard that the doctors were discussing “plans” with him about suspending treatment. It was time to look at things differently. I could see that he was declining and I have to admit, each morning when I got to the hospital I would immediately look at the patient list to see if he was still “here”. Then, on a particular day when I went to the unit to see him, as I usually did I spoke with his nurse to see how he was doing. She told me that they did indeed make a new plan, they were suspending treatment going forward and he was being discharged, that afternoon, going to Hospice. She also told me he was really not doing well at the moment; that he was really “out of it”. I went into his room. It was quiet and dark and he was lying in bed. Yes, he did look “out of it”. I wondered if he would even know that I was there. If I played…would he hear me? Would I be able to help at all? For one last time? So, as I always did…I played. He didn’t move. I continued and I did not see any response in his body showing that he knew I, or the music, was present. But, I continued…I played. And in that moment, I suddenly felt an unexpected wave of emotion starting to overtake me. This was it, after all of these weeks, all of our sessions, significantly more then any other patient I had ever worked with in the hospital, this was the final chapter. This was going to be the last time I was going to see him. I was battling my own emotions; this was a new feeling for me - after all of this time, this was the last time. And…I played. But it was a bit different. Now, I was playing what I was feeling inside. I needed something; perhaps some comfort for myself – some closure? I played…and when I finally finished, I just sat in silence for a bit. Music is an in-the-moment experience. You hear a song and in that moment, you feel something; you may feel uplifted, melancholy, have a great memory of a special time and place, experience reminiscence for a lost friend. Music takes you from where you are to another place. This is one of the reasons why music can be so powerful in a medical setting, especially in the units that care for those who are very ill. Music cannot cure in the traditional sense. As a music therapist I cannot “fix” things. And this was a hard concept for me to overcome when I first started visiting patients who were very ill. I couldn’t “fix” anything. But…I could help. I could help, ‘in the moment’. I could give them a reprieve, some hope, a cathartic experience to let go for a few moments, reduce anxiety, a relaxation experience, a means of expressing feelings, a connection. Sometimes, I can just give them a moment. We all know that music can bring people together. At a party, at a concert, at a dance, a drum circle, gathering together to listen to a song on a friend’s phone…and a million other ways. This is also true in a hospital room, when the stakes are extremely high - in the critical care unit. When I visit patients at the hospital, providing music therapy services in the Intensive Care Unit, they are often times accompanied by family members and friends. And, as you can imagine, it’s a very stressful environment for all involved; some of these family members don’t know if their loved-ones will make it through the next 24 hours. 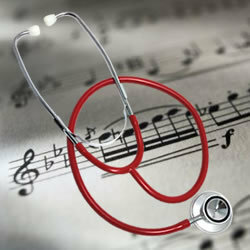 In these situations, music therapy is as much for the caregiver as well as the patient. In these cases, music is used to reduce anxiety and release tension, music is used to help with coping, music is used to help with finding and understanding feelings about the situation, music is provided to create a soundscape for saying…“goodbye”. And music ALWAYS brings people together. Always. It amazes me how instantaneous connections happen when music is introduced, between family member and patient, friends with each other, and even with me. Music adds an element like nothing else. Even in a hospital room. I’m thinking of a recent patient that I saw, a gentleman in his mid-40s who had an unexpected seizure the previous day and has since been unresponsive and on a ventilator. I was told that his family was having a very tough time and that his wife requested music therapy. When I arrived there were some other family members in the room and she asked them to let her have some private time, with her husband. She told me that her husband loved the guitar and was trying to learn to play. I started by playing some simple chords as she closed the curtain to the room and then sat next to her husband. She then took his hand and put her head on his chest and started to cry. This was such an intimate moment and it was also a little overwhelming for me. But I had the music to hold everything together. She needed to release tension and she needed emotional support and she was using the music to facilitate that and work through her emotions. I played and quietly sang a few songs for them (her) including a song by U2, his favorite band; using the songs to create a space for her to just be with him. She cried for a bit and then slowly appeared to become somewhat content. I followed her lead and as she settled somewhat I slowed down the music, working with her energy, slowing down the tempo and then finally bringing the music to a slow mantra, holding on a final chord and a simple “ohm” vocal. She appeared to have fallen asleep with her head resting on her husband’s chest. She needed a release and the music helped her. The music was both an outlet for emotion and a forum for comfort. As I sat in silence, in the room with her resting on her husband’s chest, nothing but the subtle sound of the ventilator, I felt honored that she allowed me to share this moment with them. Then there was the woman, in her 60s, whom had a recent cardiac arrest and the family decided to take her off of mechanical support, she wasn’t going to recover. I was asked to provide some music as the family was waiting for the inevitable. I entered a silent room and several family members, including some of her children, were sitting in various corners of the room, looking at the floor, staring off; together - yet alone. 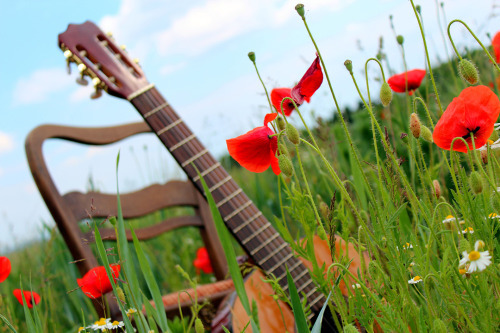 I sat on the side and started quietly playing some arpeggiated chords on the guitar, working to provide a musical space for them to help soothe and emote. Almost as if on cue, everyone in the room, perhaps 8 people total, got up and moved towards the bed and came together at her bedside. Holding her hand, reaching for each other and many, through tears, were saying “goodbye”, but also saying that it was going to be okay, that she could let go and that they were going to be okay. And, they kept telling her they loved her. This was a sad, yet beautiful and very meaningful moment for them. And what got them together, got them out of their own worlds and own awkward ways of figuring out what they were feeling, what brought them to her…was music. Music…always…brings people together. Recently, at the hospital where I work and provide music therapy services, I was asked to see an older gentleman who had been in the hospital for several days. He was somewhat disoriented, uncomfortable and agitated, and, it was his birthday. When I entered the room, it was dark and his wife was sitting quietly as he was lying in bed with his eyes closed, but, with a somewhat pained look on his face. When I said “hello” and introduced myself he stirred a bit and mumbled something that I couldn’t understand. She gently touched his arm and said “this gentleman is here to play some music for you for your birthday.” Slowly he looked up, looked at me and quietly said, “Really?” and then his face softened into a slight smile. I sat down and started playing and singing “Fly Me To The Moon” and immediately his smile and face lit up, as did his wife’s. As I continued with a few more songs, he never stopped smiling and occasionally let out a somewhat giddy laugh. 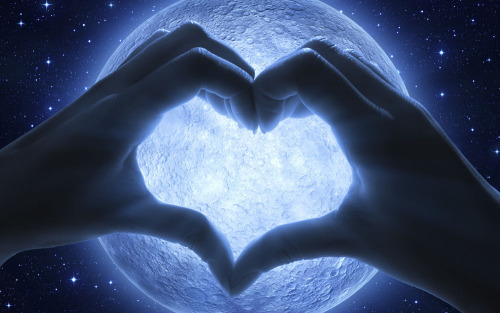 Then, when I started to sing “Blue Moon”, his wife stood up and said, “That song is our story!” She then sat next to him on the hospital bed, snuggled up to him, gave him a kiss and held his hand. Suddenly it felt like we were back at the high school dance as they continued to hold hands and smile and nuzzle at each other; like high school kids who just started courting. When I then finished with “Happy Birthday”, his face was glowing through a few tears and they both were very thankful for my visit and for the music. Many of the moments that I’m a part of in the hospital can be emotionally draining and quite sad. This, however, was a very sweet moment that was able to happen because of a song…a simple song. Sometimes that is just what we need to get through the day, a simple and meaningful song; it can do wonders, especially during very trying times. And for me…seeing them together, in this way, really brightened my day too. 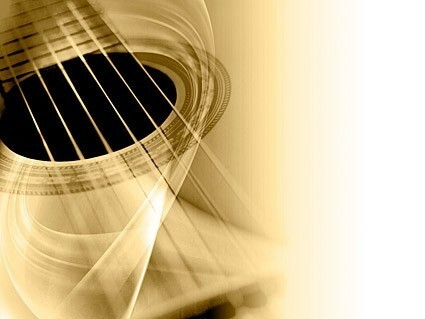 There is a myriad of ways that music can help in a medical setting, and in working as a music therapist at a hospital, each day is unique unto itself. When walking in the door in the morning, I have no idea what the day will bring, what music will be provided or whom I will see. However, each day is challenging and rewarding…and always filled with music as a means of healing and support. - There was the patient, on a ventilator in the ICU, who was anxious and scared. Music was used to comfort both her and her husband and she appeared to relax and find some comfort in the music. Her heart rate and respiratory rate decreased significantly. - There was the post-operative patient who was in pain and hadn’t been able to get any much needed rest. As the music started, by first matching his pain and then slowly transitioning to a more comforting mode, his pain seemed to subside a bit. He closed his eyes, his breathing slowed and he appeared to fall asleep. - There was the older woman who was confused and agitated. She and her daughter have had a rough couple of weeks. The nurses were having some complications in trying to insert an IV tube that was needed for medication. The patient was anxious, as was her daughter (and I sensed a bit of anxiousness in the nurses as well). Music was used as procedural support, creating a soundscape to sooth and comfort all in the room. The procedure was ultimately a success and then the patient was resting comfortably. Her daughter, teary-eyed, gave me a hug and thanked me for being there. - There was the gentleman recovering from cardiac arrest, whom, as his nurse said to me, “was running at 1,000 miles an hour” and having trouble coping with being in the hospital. I sang some favorite Merle Haggard and Johnny Cash songs for him and his wife. They were holding hands and smiling and the music seemed to help him (and her) just regulate and take a break for a bit. - My colleague saw multiple patients in Pediatrics, including a 5-year old who was exhausted and in pain. When the music therapist sang “Let It Go”, her face softened and she smiled. Suddenly she was a typical 5-year old again, finding comfort in a familiar song. - My COPD group continues to master the recorder! And…work on their breathing. Today we continued work on a swinging version of the 50s song ‘Rockin’ Robin’. When they play their recorders and sing together, they feel good about themselves and in being with each other. Suddenly, they were not thinking of breathing as being labored and exhausting; they were breathing life into their instruments…and into themselves. Finally, I was recently honored to have been asked to attend and play some music at the memorial service of a woman - a wife, a daughter and a mother of 2 young teenage daughters - whom had an effect on many of us in the oncology unit. I had seen her and her family several times during her final days. These were very emotional sessions, but, I believe the music provided some comfort when there really was nothing else. It was a beautiful service and I was so honored to have been there and be a part of the beginning of the healing process for this family. And for me, as I had been thinking about this family quite a bit, I was able to find some comfort and some closure as well. Just your typical day of music therapy in a medical setting.